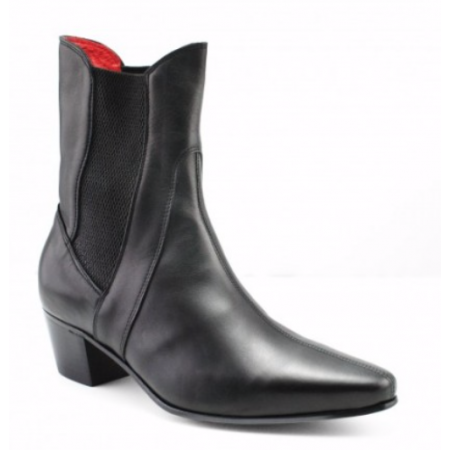 Finishes part way up the boot with a more cowboy shaped look having leather pieces wrapped around the elasticated gusset. All our Beatwear boots are expertly handcrafted from start to finish in our special Italian factory using only the best premium calf or suede leathers. They are all lined with beatwear's trademark 'red' supple leather for your comfort and finished with a hard wearing leather sole. The sole is stamped with Beatwear's logo so you know that they are a genuine Beatwear product and that you can be sure that are buying quality. The Beatwear HIGH POINT boots are made on a European Last in Continental Italy.